The year 2018 will get off to an exciting start as WWE Raw will feature a championship match on the first episode of the new year. After an eventful 2017, which featured Kurt Angle returning to the ring, as well as the reunion of The Shield, it looks like WWE is planning for big things in the next year too. Just recently, the man in charge of making the matches on Monday night let fans know exactly what’s in store for the first Raw of 2018. It’ll feature a huge match with a stipulation where the champion could lose his title if he’s not careful. 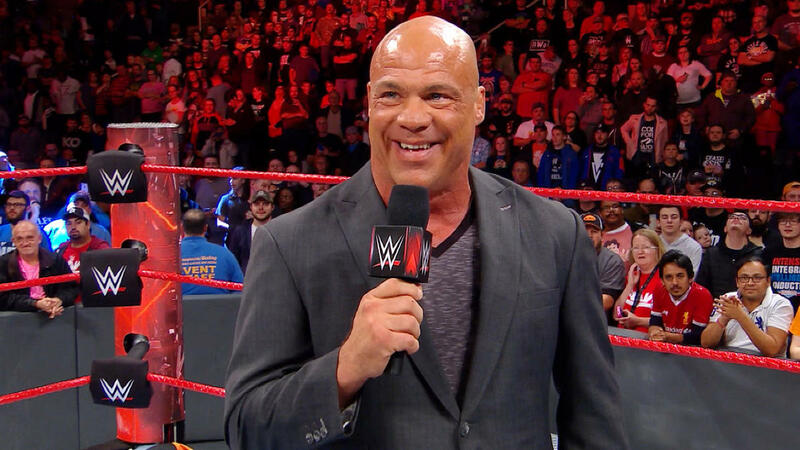 Earlier on Friday, WWE Raw General Manager Kurt Angle tweeted out the news of the match, which will have Roman Reigns defending the Intercontinental title. Samoa Joe will challenge for the championship and Angle even added a special stipulation. If Roman Reigns loses the match due to disqualification, he’ll lose the match as well as the Intercontinental Championship. That could mean the brand new year starts off with a brand new champion. For Samoa Joe, it would be the first time the two-time NXT Champion has held any titles on the main roster level. It’s entirely possible that Joe could take the title too. It would seem that the plan going forward with WWE will be to find a way to move the WWE Intercontinental Championship off Roman Reigns due to the persistent rumors that Reigns will be challenging Brock Lesnar for the WWE Universal title when WrestleMania 34 arrives. Before that, there’s also the Royal Rumble match where Reigns is currently one of the top two favorites to win along with John Cena. Reigns will need some way to get the No. 1 contender spot against Brock Lesnar at WrestleMania so the Rumble could be how it’s done. The upcoming WWE Intercontinental Championship match that Angle booked is a rematch from the Raw Christmas episode. In that match, Reigns was out for revenge in his title defense and shoved the referee away as he continued to stomp away at Joe in the corner of the ring. Reigns also slammed part of the ring steps against Joe outside the ring and nearly smashed his hand against the ring post with a steel chair. All of that chaos has led to Angle needing to book the title match for next Monday with the DQ stipulation. With that said, it would be great to see one of the former top NXT stars capture a championship since arriving on the main roster. Over on SmackDown Live, WWE has brought several other former NXT Champions to that roster as Shinsuke Nakamura and Bobby Roode are both on board. Neither Nakamura, nor Roode, have captured a title yet on the roster, but Roode could do so as he’s part of the recently-unveiled WWE United States Championship tournament. The first WWE Raw of the new year will take place on New Year’s Day, Monday, January 1, from the American Airlines Arena in Miami, Florida.